Young The Giant stepped out on the scene in 2010 with their debut self-titled album. With just one album the band was able to make a statement and get their music out there while under Roadrunner Records. Hailing from Irving, Calif. the indie rock group’s hit singles off the album “My Body,” and “Cough Syrup,” landed them a spot at the 2011 MTV Video Music Awards. “Cough Syrup” was also covered on Glee and the band has a Mark Hoppus stamp of approval. With such success coming from their debut album, Young The Giant ran into writers block. Luckily that ended and the band released their sophomore album Mind Over Matter, which was released on Jan. 21 via Fueled By Ramen (Fall Out Boy, Panic! At The Disco, fun., and other bands alike.) The sound of the album had fans curious. No one wanted Young The Giant to lose their sound. Fortunately that didn’t happen. 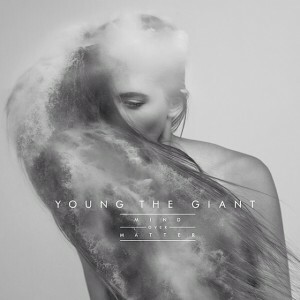 Mind Over Matter has the same Young The Giant flavor but with a bit more flair. Young The Giant is far from a sophomore slump. They put together 13 quality tracks that are mostly tied together by themes. In an interview with Rolling Stone the band said the concept of the record is, “The obstacles one creates for themselves are the only things that can really destroy you.” Throughout the album the band also dives into the theme of the illusions about life and dreaming. The first track, “Slow Drive,” sets the mood with its voiceless dream-like qualities and use of synths. The use of synths has become more popular and even though Young The Giant decided to join the club, they don’t overpower all of the tracks. Their efforts with layering sounds did go a little overboard on “Waves” making it sound overdone. Young The Giant’s lyrics took a step forward and also hook listeners. Their lead single “It’s About Time” is the lead single off the album and the most standout track off the album. It’s arguably the most aggressively raw track Young The Giant has written. It doesn’t get lost in the mix and it doesn’t sound like it was taken from their debut album much like “Camera” does. Since, “It’s About Time” was the lead single it raised many questions about where the band was going with their sound. Young The Giant is not completely ditching their “old” sound. Their presence is just getting bigger and so is their sound. Lead singer Sameer Gadhia’s vocals are emotional and effortless. In “Daydreamer” Gadhia delivers the lyrics effortlessly: “It’s a full moon at midnight/ Running fast out of time/ It’s a feeling you can’t describe.” Gadhia’s vocals are transcending and emit a dream like radiance. Every word is delivered smoothly. Even though Young The Giant did explore more layering they still stick to rock instruments. There isn’t any hand clapping or odd instruments featured that outweigh the content of the album, which differentiates them from every other indie rock band. Young The Giant was looking for their voice and Mind Over Matter is a great step in the right direction. The album runs about 50 minutes but it’s engaging all the way through. The minimalistic sound from their debut album was completely lost in Mind Over Matter. In this case more worked for this album but hopefully in later albums we can hear more of the depth their first album was smothered in.